Four-seat lightweight observation helicopter powered by a 250hp Allison T63 turboshaft engine. Produced to a US Army specification and first flown on 8 December 1962. Five delivered; originally designated HO-4 by the Army but subsequently redesignated OH-4A. Evaluated against Hiller and Hughes prototypes. No further production. In 1960 the Army launched a design competition for a new Light Observation Helicopter (LOH). The specifications called for an aircraft with a 175kph minimum cruising speed, 180-kg payload and accommodation for up to three passengers in addition to the pilot. Twelve firms submitted design proposals, and in May 1961 Bell, Hiller and, somewhat belatedly, Hughes, were named as finalists in the LOH competition. Each of the three companies was subsequently awarded a contract for the production of five prototype examples of its proposed aircraft; these prototypes were initially designated the YHO-4A (Bell), YHO-5A (Hiller), and YHO-6A (Hughes), though in 1962 they became YOH-4A, YOH-5A, and YOH-6A, respectively. The YOH-4A, which bore the company model number 206, made its first flight in December 1962. The aircraft featured two-bladed main and tail rotors, skid landing gear, and a conventional pod-and-boom layout with a protruding 'bubble' nose. 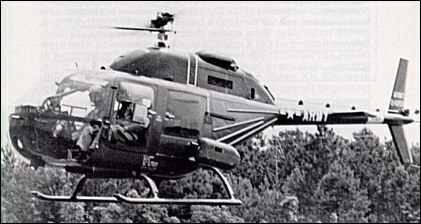 The five Bell prototypes were evaluated by the Army in competition with the Hiller and Hughes designs and, after the Hughes YOH-6A was declared the winner of the LOH contest in 1963, all five of the Bell machines were returned to the manufacturer. 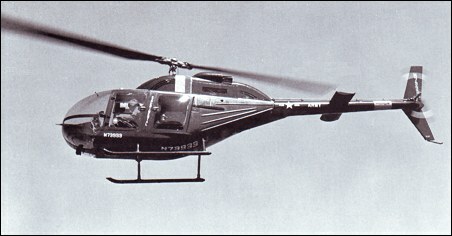 The loss of the LOH competition did not spell the end of the Model 206's Army service, however, for a much- modified derivative, the Model 206A, was selected as the 'Lot 2' LOH winner in 1968 and subsequently entered the Army inventory as the OH-58 Kiowa. Finding overhauls and repair facilities for your turbo shaft / turbo prop engines & modules. My name is Yosi and I am a retired Air Force officer specialized in aircrafts engines and logistics. *Finding overhauls and repair facilities for your turbo shaft / turbo prop engines & modules. *Finding engines and modules for rent or exchange. *Finding major engine spare parts in N/F, O/H or A/R condition. I don't charge commission from A/C owners and operators.